Postcard, sepia toned photograph of Middle and High Sadgill, labelled Long Sleddale. 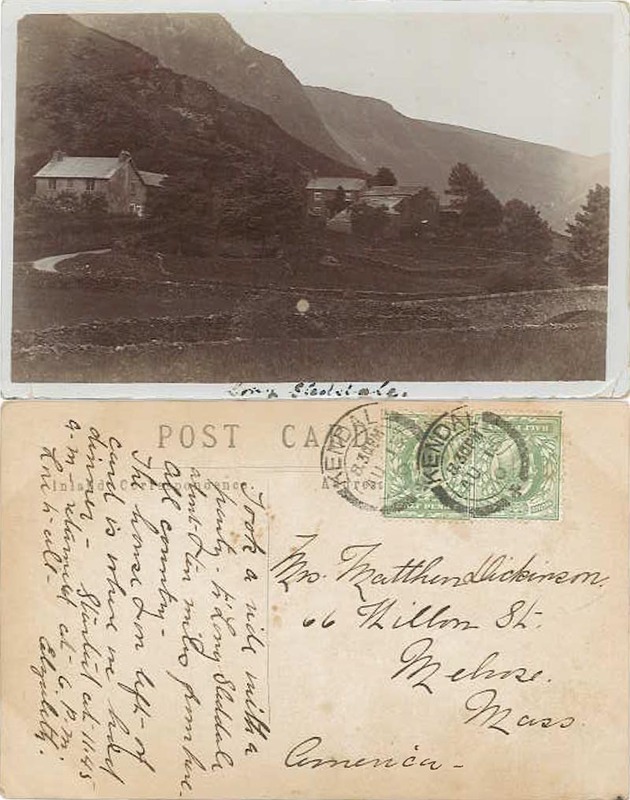 On the back is a description of a visit to Longsleddale from Kendal by "Elizabeth", and she dined at Middle Sadgill. It was posted in 1910 to a Mrs Matthew Dickinson in America (a surname not found in the valley near this time). The back is divided to accommodate a message for inland mail, which was introduced in 1902; but by the date of posting this had been extended to overseas mail.